This Asian delight satisfies taste buds minus the salty, bloated feeling from the rice and soy sauce. Plus, it is packed full of fiber, vitamins and minerals from all of the veggies and it is soy-free, dairy-free, grain-free and low glycemic. Flavor-free? Why of course not, Silly! 1. Pre-heat oven to 325°. (This can also be cooked in a slow cooker). Place chicken in the dutch oven (or slow cooker). 2. In a separate bowl, mix coconut aminos, apple cider vinegar, orange juice, orange zest, garlic, ginger, sea salt, red pepper flakes and black pepper. Pour over chicken. 3. Bake for 2 hours (or 4-5 hrs in the slow cooker). About 20 minutes before chicken is finished cooking, place cauliflower florets in food processor and pulse into rice-sized pieces. Place garlic and olive oil in saute pan and saute for 1 minute. 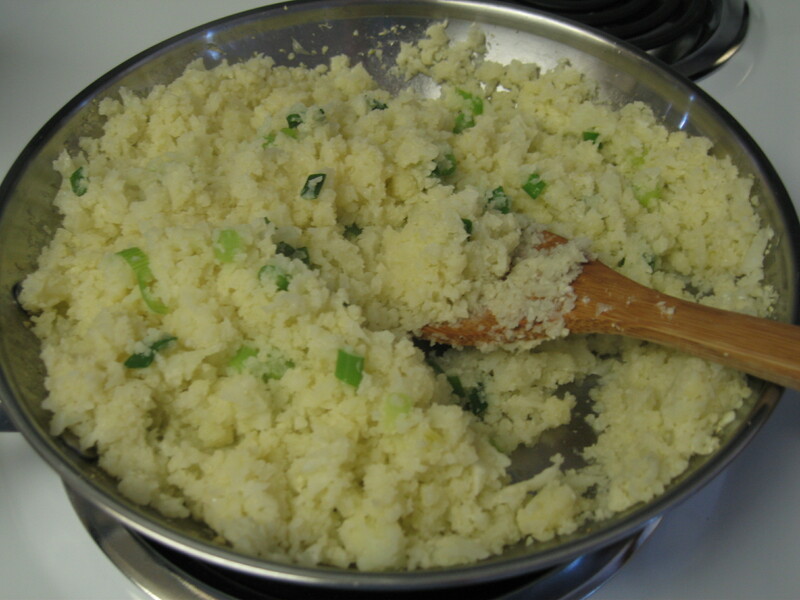 Add cauliflower, green onion and 1/4 cup water to pan and steam for 5-7 minutes until cooked. Salt to taste and set aside. 4. When chicken is finished, add bell peppers and peas (or remove from slow cooker and place in large saute pan) and cook until liquid is reduced and peppers are soft. 5. 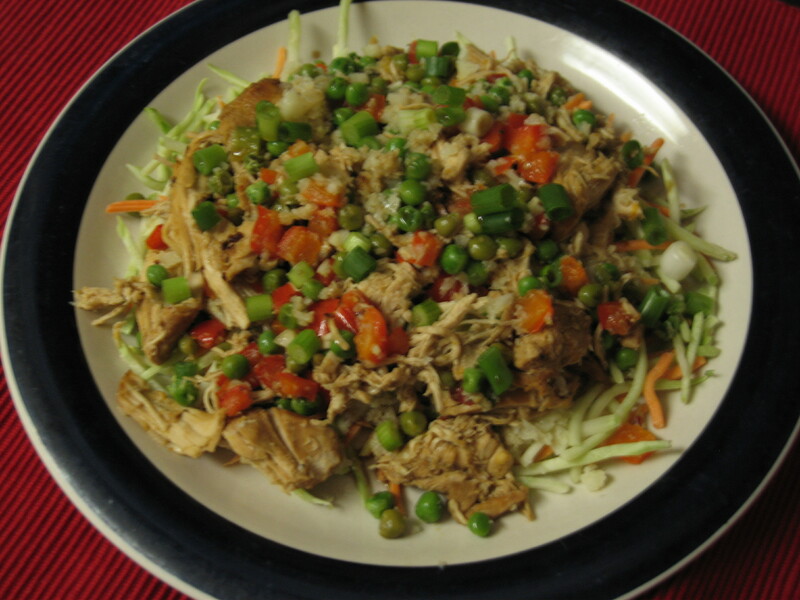 Serve chicken over cauli-rice, slaw and garnish with cashew pieces, chopped green onions and a dash of coconut aminos.